Get inspired with The Asia Collective’s latest foodie guide revealing the Best Restaurants in Singapore! Embark on the ultimate culinary journey and immerse yourself in Singapore’s vibrant dining scene with its seducing variety of cuisines served within stunning settings, making the city one of the most enticing culinary destinations in the world! Read on and get inspired on where to dine and devour in The Asia Collective’s carefully curated guide to the Best Restaurants in Singapore. From fine dining in sleek venues in Singapore’s CBD, boutique hotspots from River Valley to Dempsey Hill, and must-visits in the Arab Quarter, East Coast, and Sentosa, our latest guide to Singapore’s Best Restaurants is your go-to guide for dining venues not to be missed when exploring Singapore’s culinary melting pot. The culinary concept of Szechuan is well-known for its use of fiery spices – particularly the infamous Szechuan pepper dish you can find at any Chinese restaurant that will leave your mouth alight. The specialty of this flavoursome act can be found at the buzzing Birds of a Feather on hip Amoy Street, offering contemporary Western cuisine with Szechuan influence. With an interior décor of a sophisticated ensemble of nature and high styling, this restaurant, café, and bar offers all-day dining, bespoke cocktails, and an ever-evolving wine list. 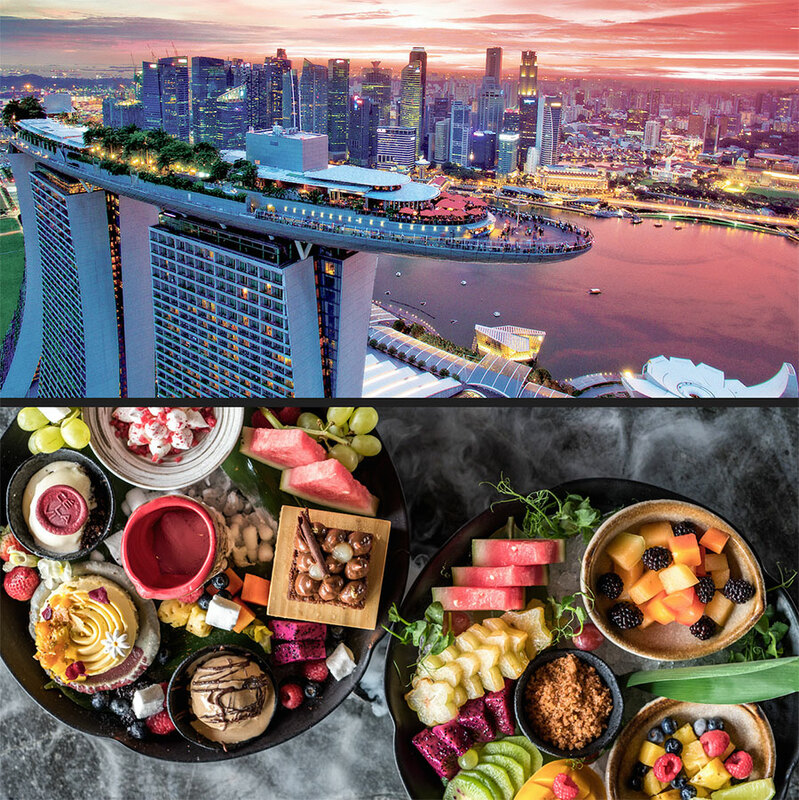 Insider Tip: Shop Hungry in Singapore (valid until 31st of July 2019) to receive exclusive privileges including unlimited 1-for-1 small plates at Birds Of A Feather, and 40 other best restaurants in Singapore. The open kitchen concept of Chef’s Table will make you feel right at home – and give you the unique chance to score a secret recipe or two during an outstanding dining experience. The daily changing degustation menus feature 28 key ingredients – customize your dinner and cross out the ingredients you don’t feel like. You won’t be served the same dish twice during your visits to Chef’s Table! Your unique dining experience is best paired with one of the chef’s carefully curated wines which are – like the seasonal produce – only available in small quantities. 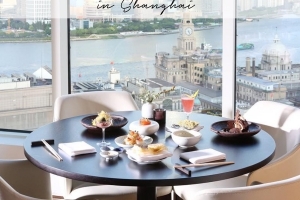 Insider Tip: Shop Hungry in Singapore (valid until 31st of July 2019) to receive exclusive privileges, including 20% off the food bill at Chef’s Table By Chef Stephan, and many more best restaurants in Singapore. Meshing the vibrancy of bohemian Istanbul with Parisian sensibilities of a casual bistro, café by day and bar by night. 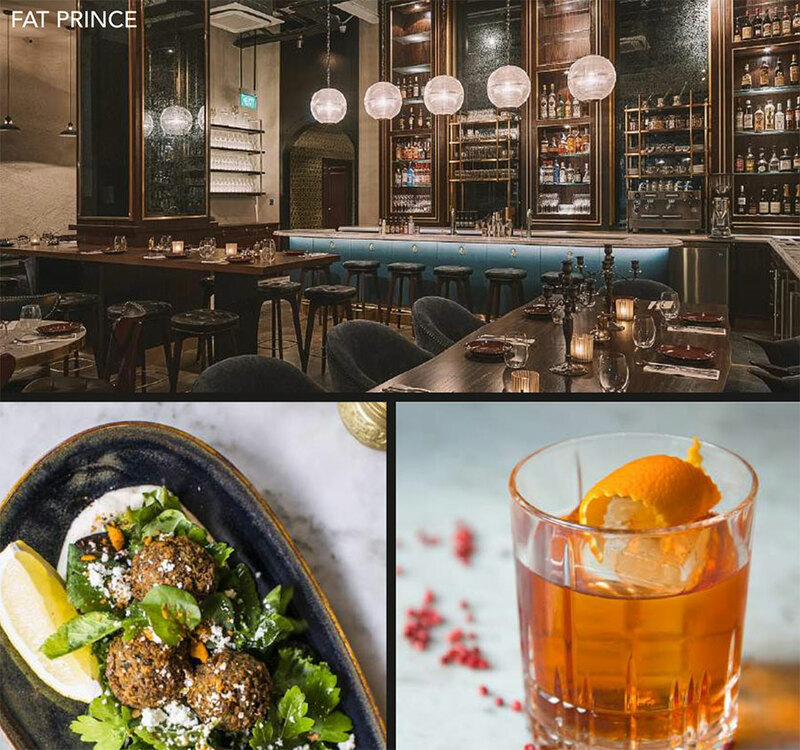 The city’s hotspot Fat Prince is an obvious choice for delicious Middle Eastern dishes and curated cocktails by its talented bartenders. Attracting Singapore’s chic crowd, enjoy the atmosphere with a unique Turkish tea or coffee, a glass of prosecco or a house cocktail to take you from day into night. Insider Tip: Shop Hungry in Singapore (valid until 31st of July 2019) to receive exclusive privileges at Singapore’s best restaurants including 2 complimentary house cocktails with any order at Fat Prince. 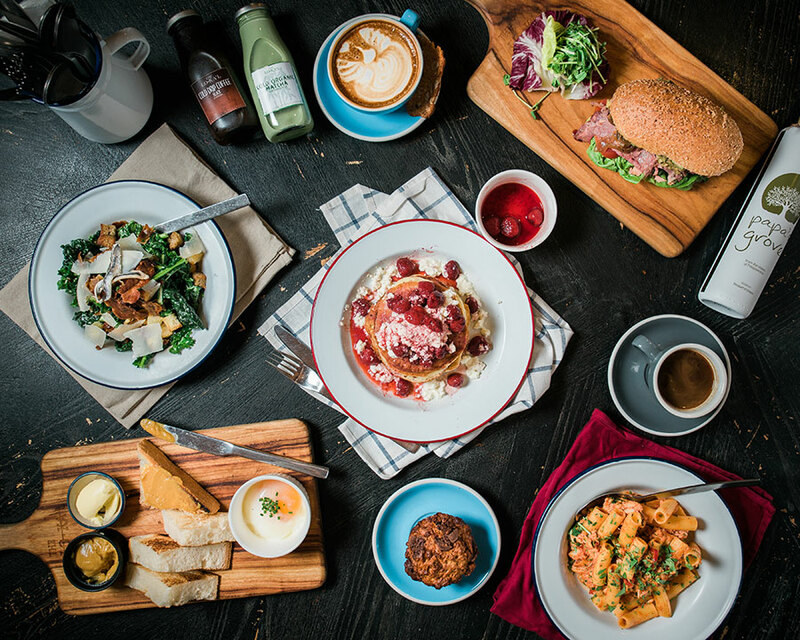 Dishing up an array of delicious comfort food, great coffee and a rotating wine list that is sure to please, this secret gem in an alleyway off Gemmill Lane is the perfect spot for all-day casual dining paired with a cheeky glass of wine. 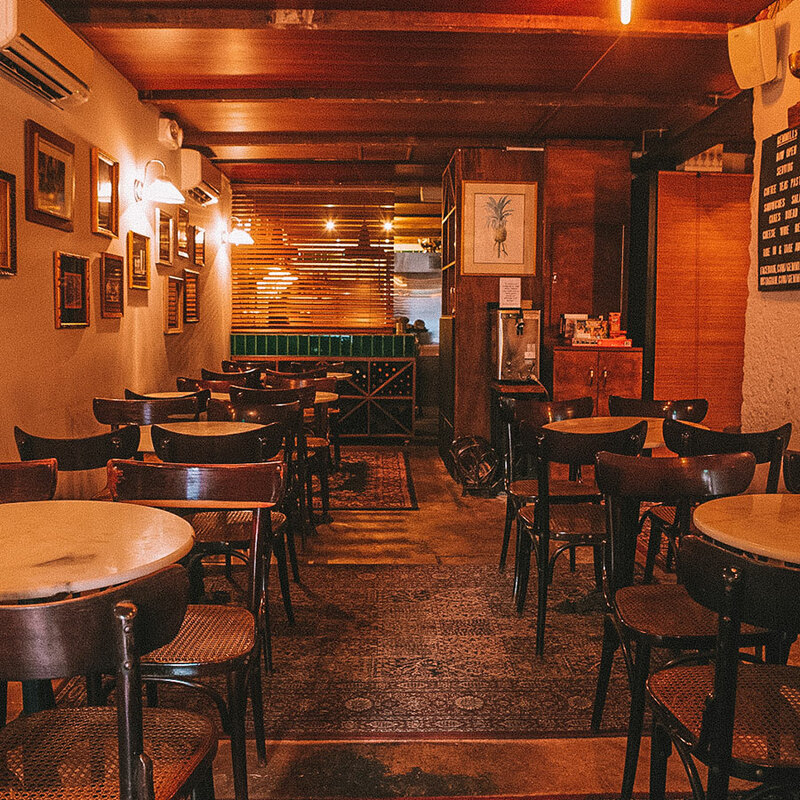 Created by the culinary cool kids of Maggie Joans and Moosehead, Gemmills is a quirky hole-in-the-wall hideaway providing a cozy space filled with vintage couches designed to enjoy intimate homely style meals and share plates. Insider Tip: Shop Hungry in Singapore (valid until 31st of July 2019) to receive exclusive privileges across Singapore’s best restaurants including 1-for-1 main dishes at Gemmills. 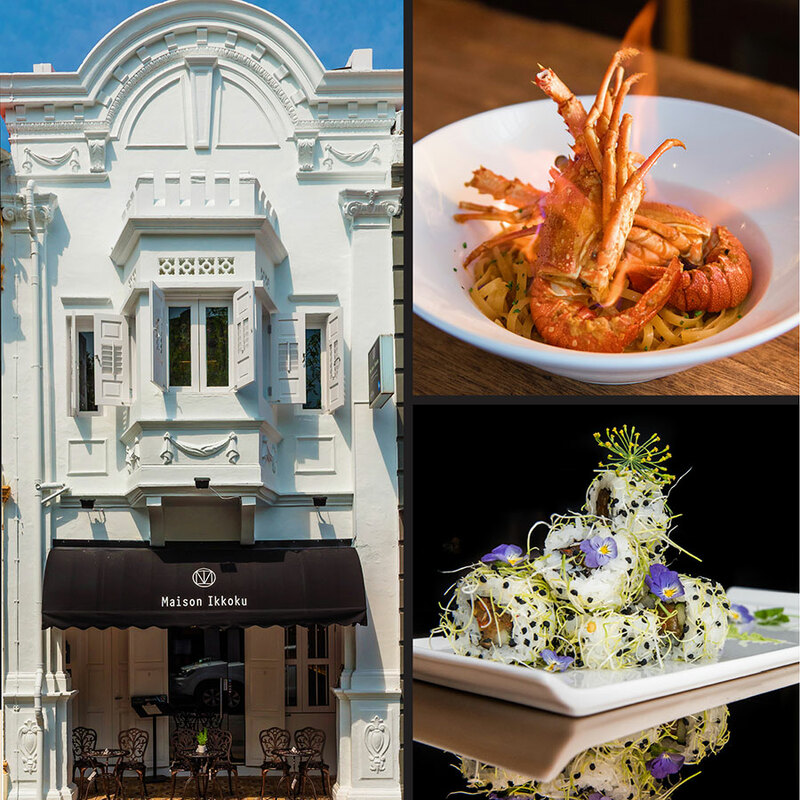 This edgy Kitchen & Bar located on buzzing Telok Ayer Street is a crowd favourite for fine casual lunches and intimate hearty dinners designed to be shared. 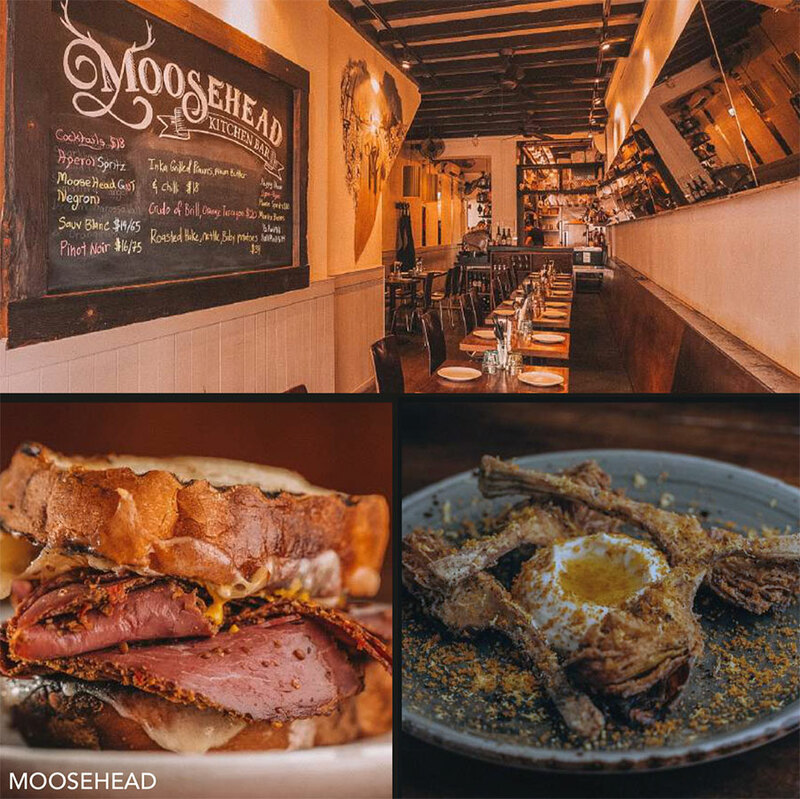 Moosehead’s dishes reflect the dining institute’s energetic and indie surroundings combined with Medi- terranean flavours and culinary influence from around the globe. Serving elevated plates such as Pumpkin Ravioli with burnt butter & sage, Hokkaido Scallop Crudo with wasabi, and Pork Belly with prune puree, Moosehead caters to carnivores and vegetarians alike, creating a contemporary delicious dining experience in an unpretentious setting to the sounds of in-house jazz, reggae, funk and hip-hop. Insider Tip: Shop Hungry in Singapore (valid until 31st of July 2019) to receive exclusive privileges including 1-for-1 main dishes at Moosehead, and 40 other best restaurants in Singapore. 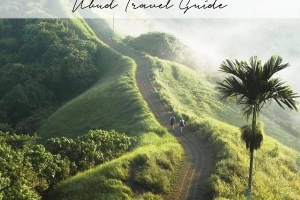 Shop your HUNGRY IN SINGAPORE book to discover Singapore’s 40 best restaurants while saving $1,200 along the way! Brought to you by the team behind Cure, uber cool Butcher Boy invigorates the senses and tantalizes the taste buds with their melting pot of exotic Asian flavours delivered in a stunning metro setting. Experience social dining as you enjoy Butcher Boy’s menu favourites such as the Buttermilk Fried Chicken Bao or the Premium US Grain Fed Beef Short Rib. Head down after work between 5 pm – 7 pm for incredible happy hour deals like $3 oysters and $8 house wines! 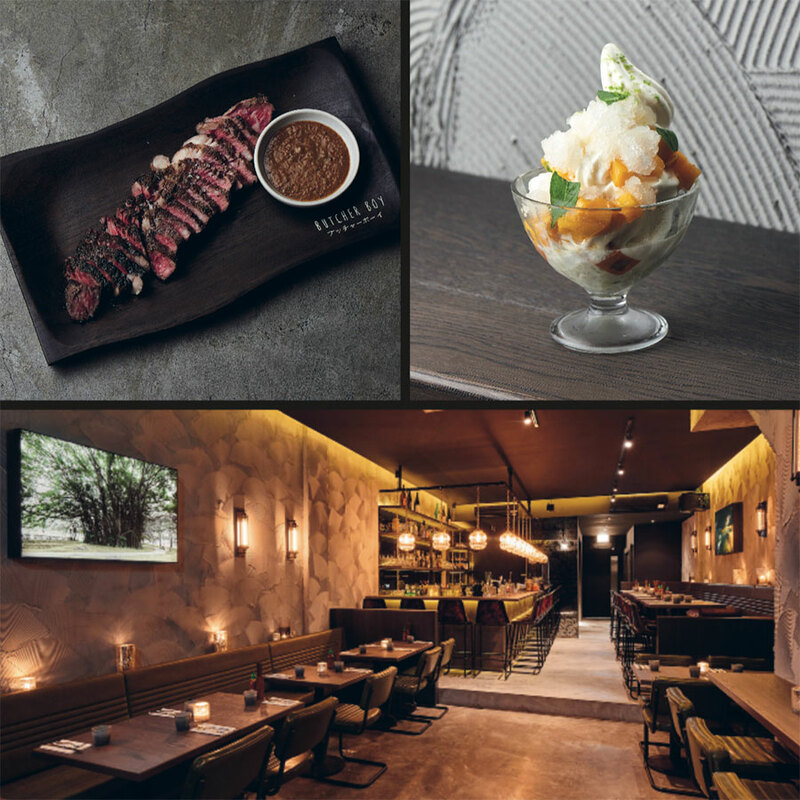 Insider Tip: Shop Hungry in Singapore (valid until 31st of July 2019) to receive exclusive privileges across Singapore’s best restaurants including 2 complimentary sundaes with every 2 main dishes purchased at Butcher Boy. Visit Keong Saik’s Social Kitchen & Bar, Don Ho, for an intimate evening experience, celebrating shared dining and fresh tropical cocktail creations. 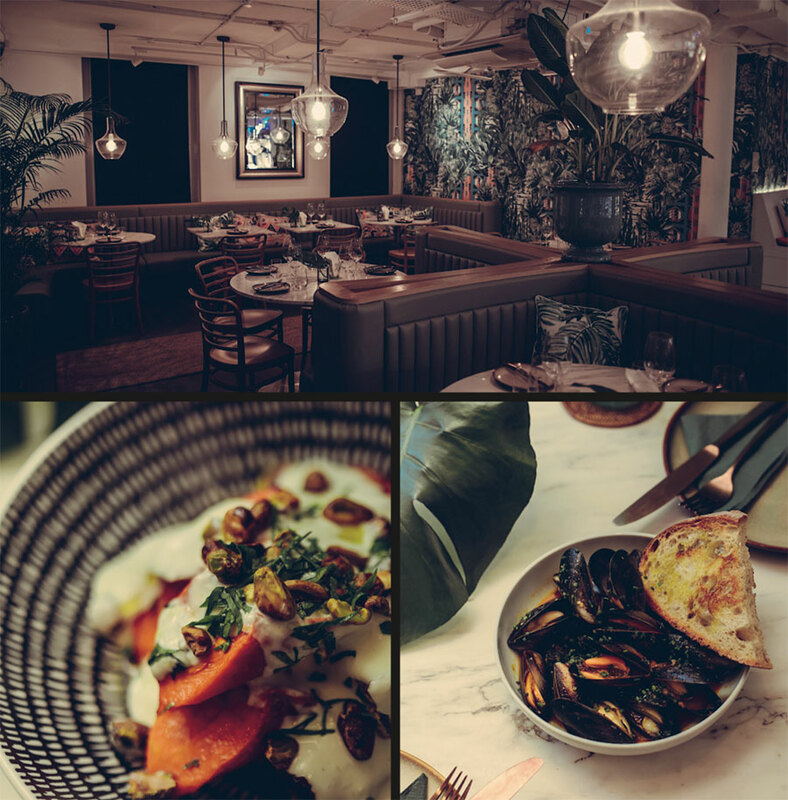 Set within a beautiful, tropical inspired and modern décor, you can choose your menu favourites from its Land, Earth, Sea, Big Sharing and Happy End sections. The open kitchen concept along with communal dining tables and intimate seating arrangements make it the perfect choice for a date night out or an Australian feast with friends! Insider Tip: Shop Hungry in Singapore (valid until 31st of July 2019) to receive exclusive privileges, including 2 glasses of complimentary wine when you purchase 4 share plates at Don Ho, and many more privileges across Singapore’s best restaurants. Neon Pigeon is a modern urban izakaya – an Eating Drinking Social house that embodies the Japanese culture of living which serves mouth-watering progressive Japanese food. Visit one of the hottest nighttime spots for a bite to eat along with great cocktails on Keong Saik Road. With its combination of underground vibes and an expertly curated food and drinks menu along with sake laybacks going around to tables as the night progresses, Neon Pigeon is a Singapore hotspot you cannot miss! 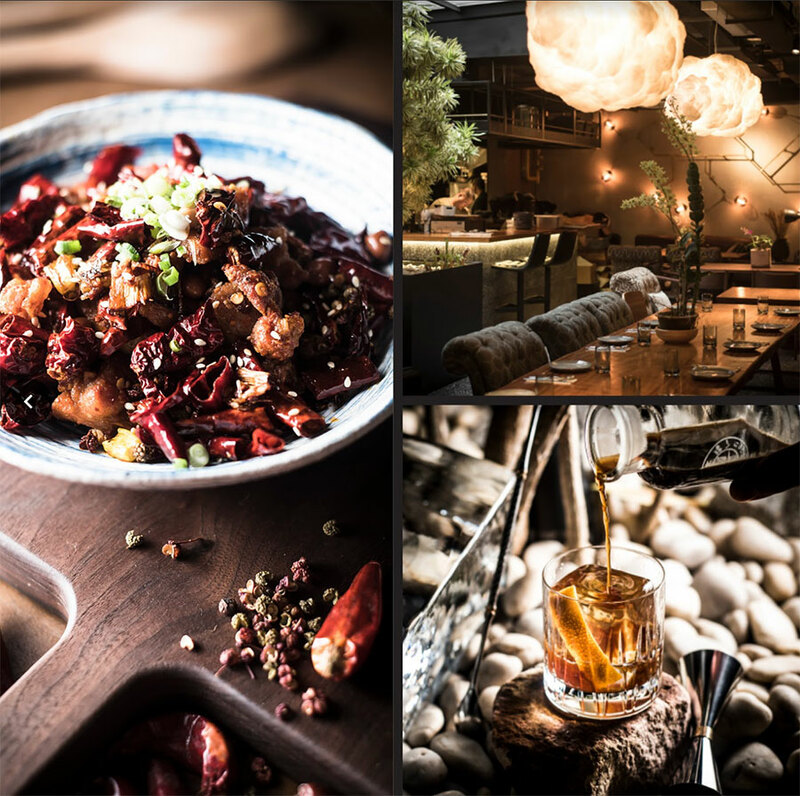 Insider Tip: Shop Hungry in Singapore (valid until 31st of July 2019) to receive exclusive privileges at the best restaurants in Singapore, including 2 complimentary house cocktails with any order at Neon Pigeon. 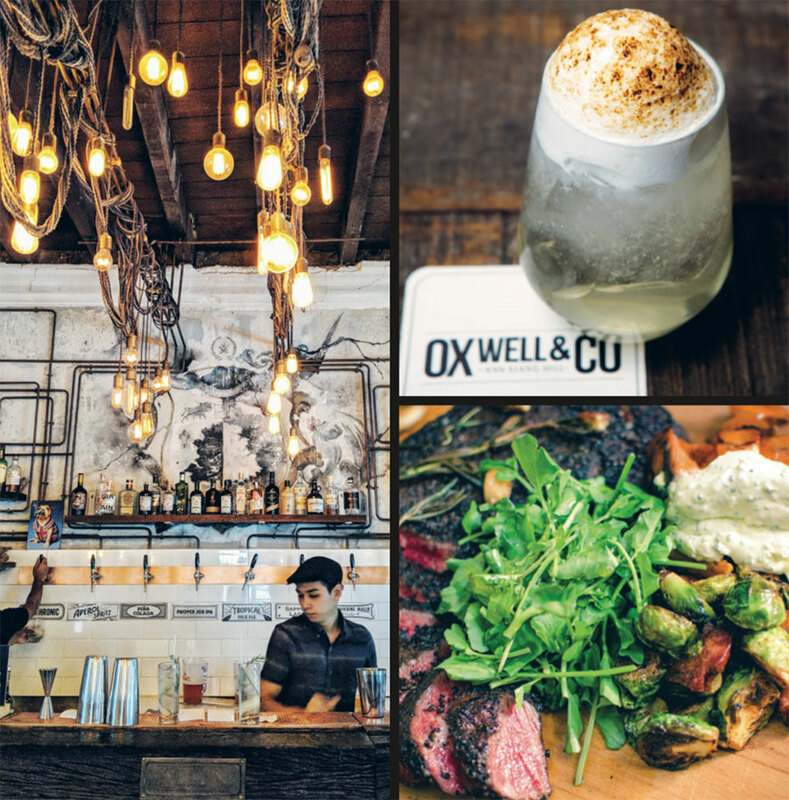 Serving high-end beer and hearty pub food, Oxwell & Co is a modern British gastropub on Ann Siang Hill. The 4-storey shophouse embodies everything that can be expected from a local pub in the UK, most famously known for its hearty Sunday Roast. Explore a myriad of culinary delights from their famous draft cocktails on the first floor, contemporary British classics such as Cape Grim Rump Cap and Roast Belly of Pork in the second floor’s dining room, private dining & an eccentric apothecary-inspired bar on the third floor, to a rooftop bar overlooking scenic Chinatown. Insider Tip: Shop Hungry in Singapore (valid until 31st of July 2019) to receive exclusive privileges, including 20% off the food bill at Oxwell & Co, and 4o other best restaurants in Singapore. Situated on the edge of China Town this homely yet modern style restaurant will quickly turn into your local go-to spot. Focused on serving Australian classics with a twist, The Lokal experiments with a variety of home-made delicacies producing food that is honest, delicious, and memorable. For a hearty brunch to fuel your day, order The Lokal Ricotta – home-made ricotta, smashed avo, pomelo and almonds served on toasted sourdough. If it’s dinner you’re after, this cozy space is perfect for casual cocktails and intimate get-togethers, with the German head chef serving up comfort food such as Tasmanian Grass Fed Steak Frites, Catch of the Day and Grilled Pork Chop. Insider Tip: Shop Hungry in Singapore (valid until 31st of July 2019) to receive exclusive privileges across Singapore’s best restaurants, including 15% off the bill at The Lokal. 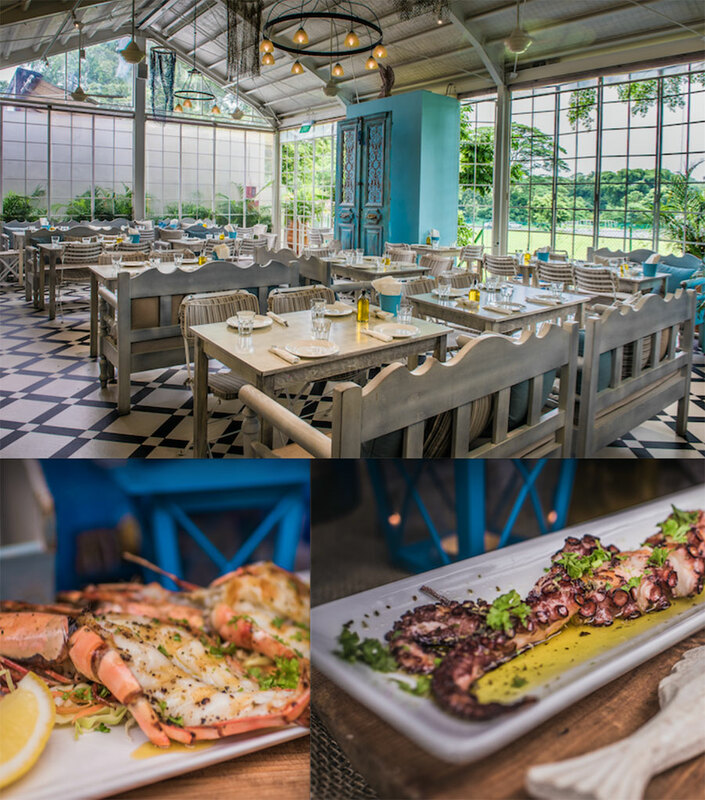 Blu Kouzina is Singapore’s most loved destination for authentic Greek cuisine. Explore their creative menu which includes authentic delights such as grilled octopus, hot and cold meze plates, fresh seafood from Greece, as well as dips, cheeses, and yogurts crafted with ingredients from the family’s estate. 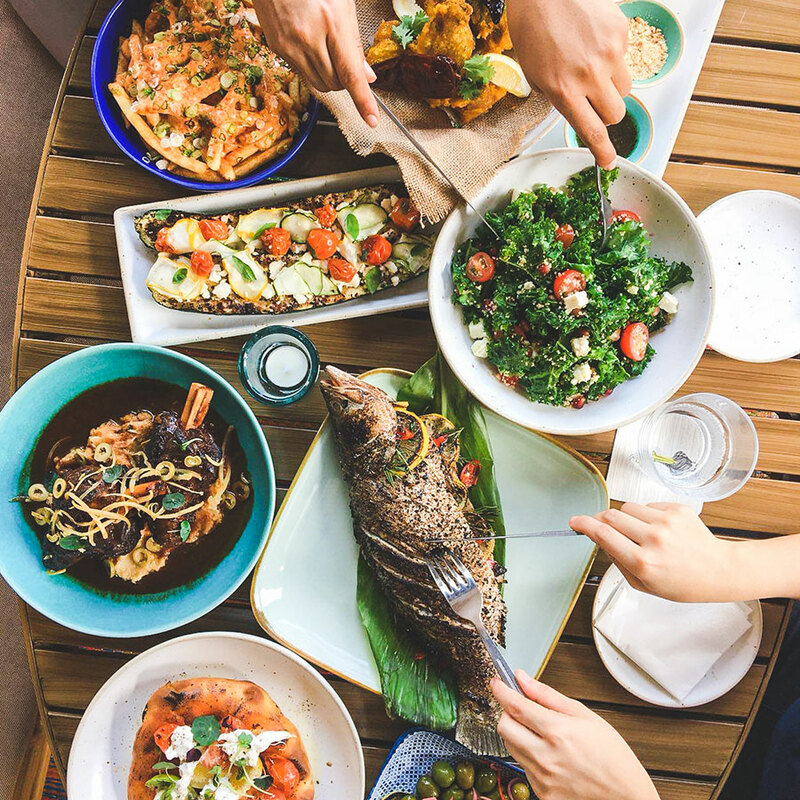 From plate to palette, experience a distinctly Mediterranean flavor at this contemporary Greek dining restaurant in Dempsey Hill. Insider Tip: Shop Hungry in Singapore (valid until 31st of July 2019) to receive exclusive privileges across Singapore’s best restaurants, including 1-for-1 main dishes at Blu Kouzina. Taking notes from their well-established luxury COMO Hotels across the globe, COMO Cuisine has created an enticing all-day menu that reflects a fusion of their hotel menu favorites from Australia, Asia, America, and Europe. 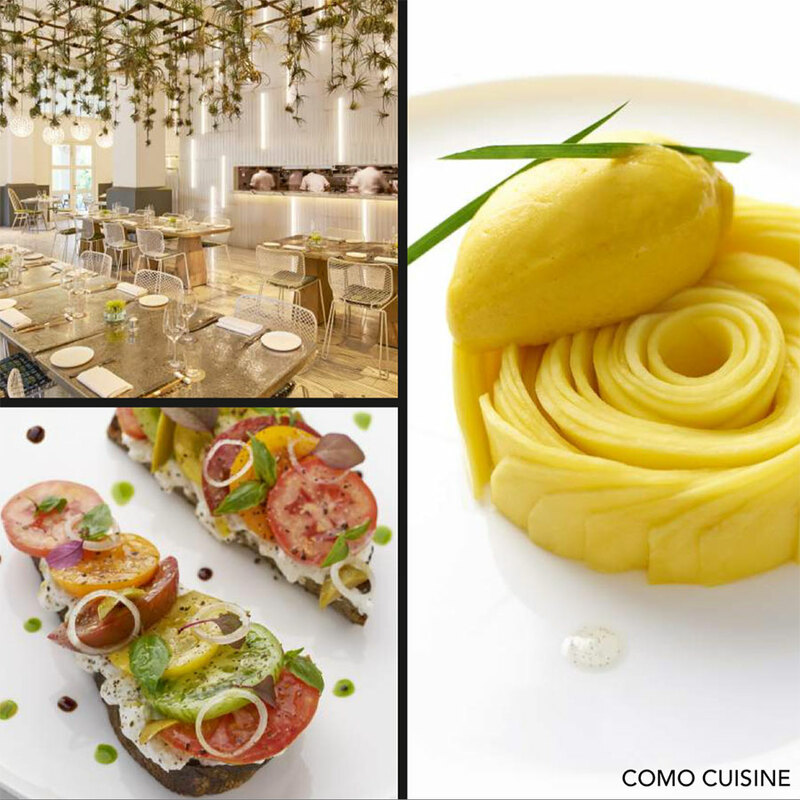 Combined with Singapore’s rich food heritage it creates a unique culinary experience represented by the COMO brand. Its re-invention of modern fare boasts contemporary flavors alongside traditional yet modern dishes everyone will enjoy. Insider Tip: Shop Hungry in Singapore (valid until 31st of July 2019) to receive exclusive privileges, including 2 complimentary desserts when you purchase 2 main dishes at Como Cuisine, and 40 other best restaurants in Singapore. For an unparalleled indulgent steak experience look no further than Bistecca Tuscan Steakhouse. Situated in a re-invented Singapore shophouse, its sleek architecture sets the mood for an intimate dinner in one of their cozy booths or a feast with friends at a large table opposite the open-design kitchen. 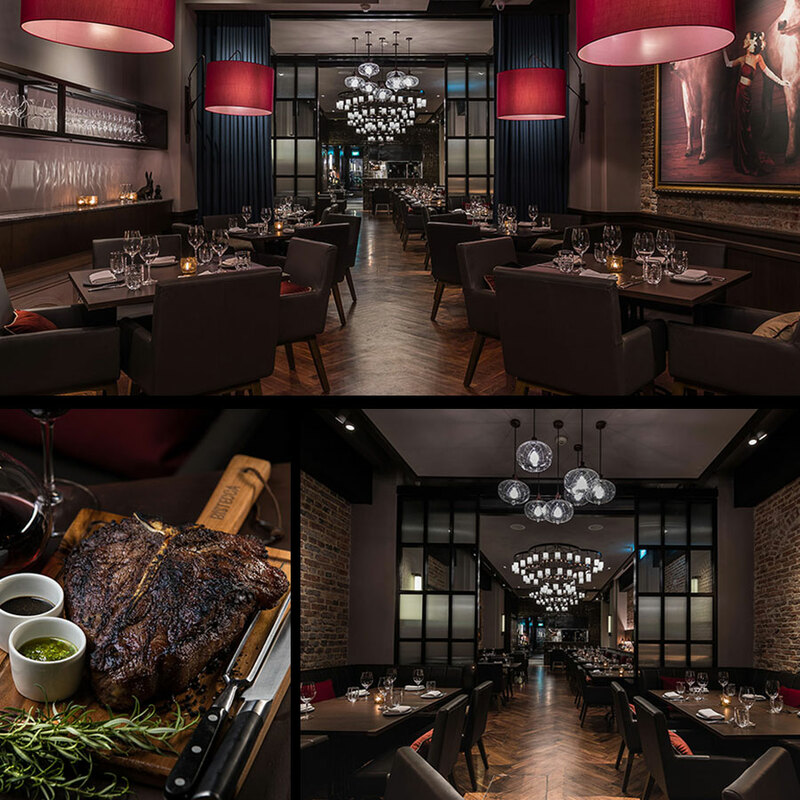 Not to be missed is their signature dish and namesake, the Bistecca Alla Fiorentina – a thick-cut, chargrilled T-bone steak. This masterpiece is prepared in a traditional Tuscan style which gives it a charred crust yet tender and juicy centre. Plated to share in accompaniment with Bistecca’s rustic side plates and good company. 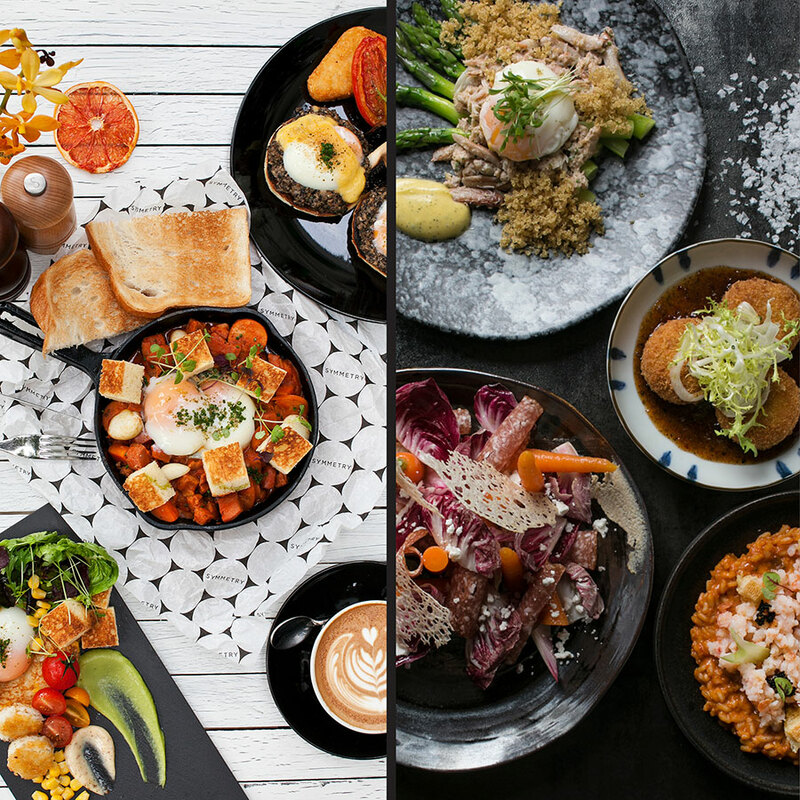 Insider Tip: Shop Hungry in Singapore (valid until 31st of July 2019) to receive exclusive privileges across the 40 best restaurants in Singapore, including 2 glasses of complimentary house wine, beer, or sparkling with every 2 main dishes purchased at Bistecca. Entering Cibo Italiano Ristorante is like stepping into a slice of Italy! The authentic Italian venue features a negozzio (Italian for small shop) and a restaurant serving traditional and modern Italian dishes – including the best pizza in town! We urge you to try the Ravioli Aragosta & Granchino – a homemade pasta stuffed with Italian lobster and crab tossed in Sicilian datterino, tomato, garlic and olive oil. If you prefer to share, order the Tagliere Misto – a selection of Italian cheese and cold cuts, with a side of their carciofi – deep-fried Italian buttered artichokes. 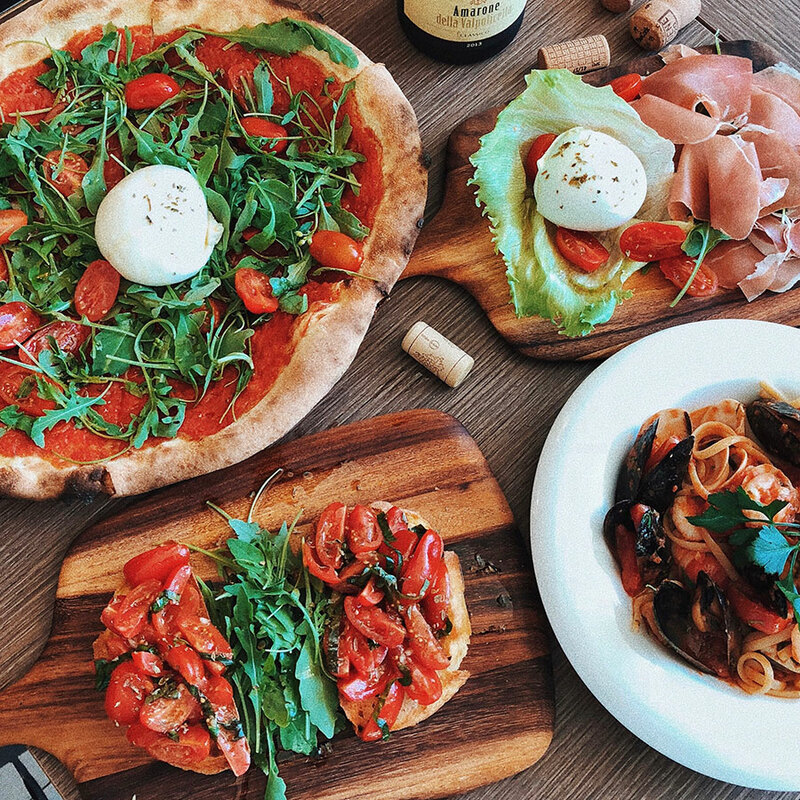 Insider Tip: Shop Hungry in Singapore (valid until 31st of July 2019) to receive exclusive privileges including 15% off the bill at Cibo Italiano, and 40 more of the best restaurants in Singapore. On the River Valley foreshore, you are invited to a taste of Italy with stunning interiors, an uplifting atmosphere, and exquisite Italian fare from the oh-so-charming Publico Ristorante. 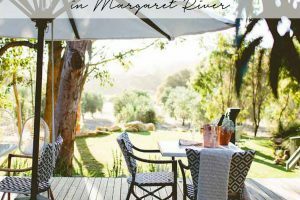 Enjoy the ultimate riverside dining experience on their tropical garden terrazza. You will be spoilt for choice with their classic yet contemporary menu of handcrafted pizzas, homemade pasta, and refreshing cocktails. Tempt your taste buds for brunch, lunch or dinner with delicious aromas and music Italiana – everything you need for classic alfresco fun. 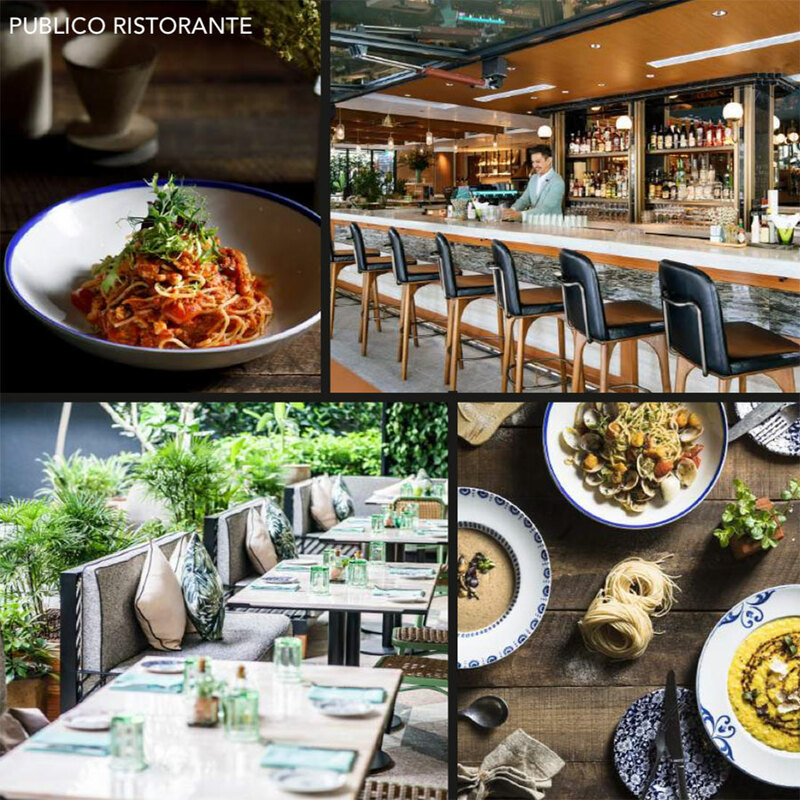 Insider Tip: Shop Hungry in Singapore (valid until 31st of July 2019) to receive exclusive privileges across the best restaurants in Singapore, including 2 complimentary desserts with the purchase of 2 main dishes at Publico Ristorante. Summerlong is your window to sunshine, the ultimate go-to for laid-back days and vibrant nights. The city beach café inspired by the Eastern Mediterranean offers a casual vibe along the river at Robertson Quay. Offering fresh bold flavours, ranging from a variety of hummus to fresh salads, as well as meats and seafood for both brunch and dinner, it’s not to be missed for a relaxed but fun social gathering. With pitchers of cocktails or milkshakes to indulge in along with the mouth-watering food, there is something for everyone! 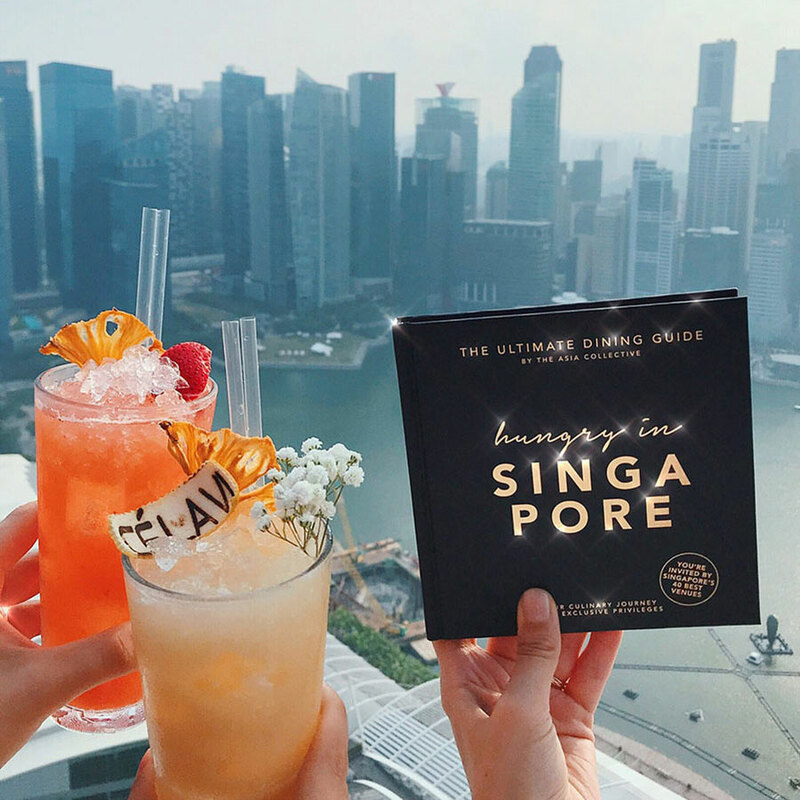 Insider Tip: Shop Hungry in Singapore (valid until 31st of July 2019) to receive exclusive privileges including 2 complimentary house cocktails with any order at Summerlong, and more of the best restaurants in Singapore. Celebrity Chef Akira, the mastermind behind famed Yellowtail and Kumi in Las Vegas, brings his culinary creations to his latest masterstroke, the namesake Akira Back. Akira Back’s unique menu features a selection of innovative dishes created using fresh seasonal produce, with a strong focus on modern Japanese cuisine blended with global influence. This contemporary Japanese fine-dining restaurant is located at JW Marriott Singapore South Beach, offering its guests an immersive and unforgettable dining experience that shouldn’t be missed! 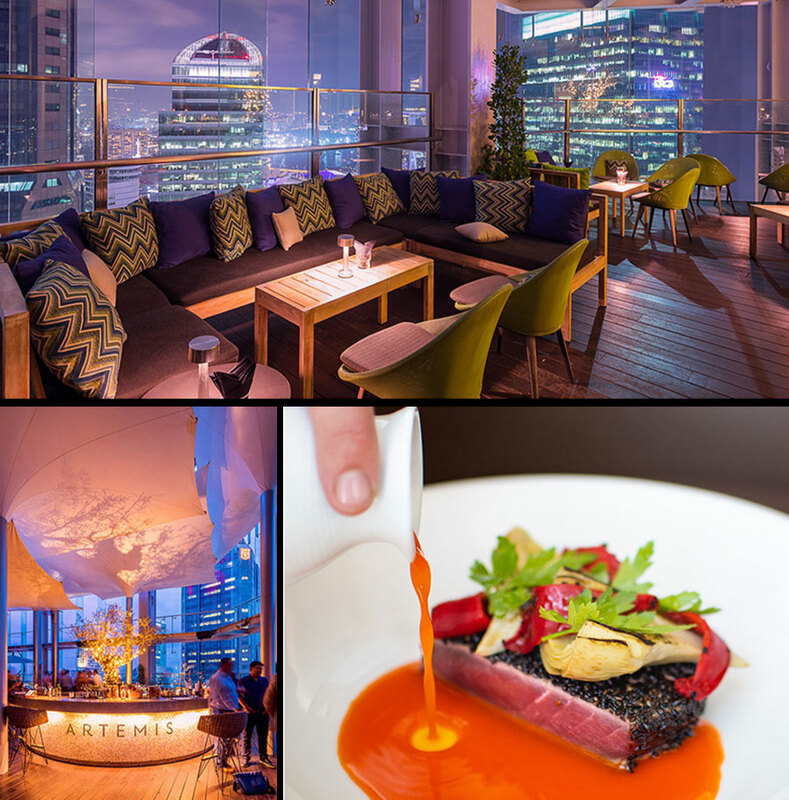 Insider Tip: Shop Hungry in Singapore (valid until 31st of July 2019) to receive exclusive privileges across the 40 best restaurants in Singapore including 15% off the bill at Akira Back. A smart-casual Italian dining concept by restaurateur-chef Beppe De Vito, Amò is a social destination where the best culinary influences from all parts of Italy come together. The menu was designed to be shared, and favourites include the signature Mushrooms, Truffle, Mascarpone and Tuscan Pecorino Pizza and Grilled Angus Beef Tagliata with Rucola and Parmigiano Salad. The open shophouse space of Amò celebrates the heritage of its location with a post-industrial design concept. Restaurant interiors highlight warm colours and bold natural materials, creating a comfortable yet chic environment. Dine under the stars at the charming outdoor courtyard with flourishing greenery and hand-painted wall illustration by local artist Venetia Stravens. Insider Tip: Shop Hungry in Singapore (valid until 31st of July 2019) to receive exclusive privileges including 25% off the bill at Amò, and more of the best restaurants in Singapore. 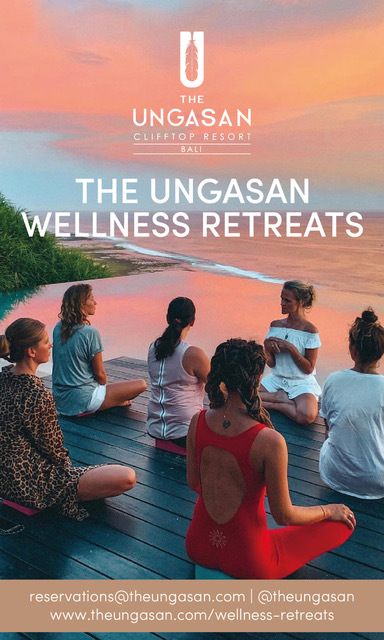 Escape to this unique culinary destination elevated between the clouds and a 15,000 square-foot Sky Forest in the heart of Singapore with spectacular views of the city’s skyline and the sea. Artemis Bar & Grill tempts the taste buds with their ever-growing menu of Mediterranean delicacies crafted using only the freshest seasonal produce. Enjoy a range of gourmet plates that reflect the region’s rich cultural heritage fused with international influence through favourites such as the Sweet Pea Agnolotti with ricotta, wild garlic, and preserved lemon or the 420-day Grain Fed Wagyu Ribeye. Insider Tip: Shop Hungry in Singapore (valid until 31st of July 2019) to receive exclusive privileges across Singapore’s best restaurants, including 2 glasses of complimentary wine with the purchase of 2 main dishes. 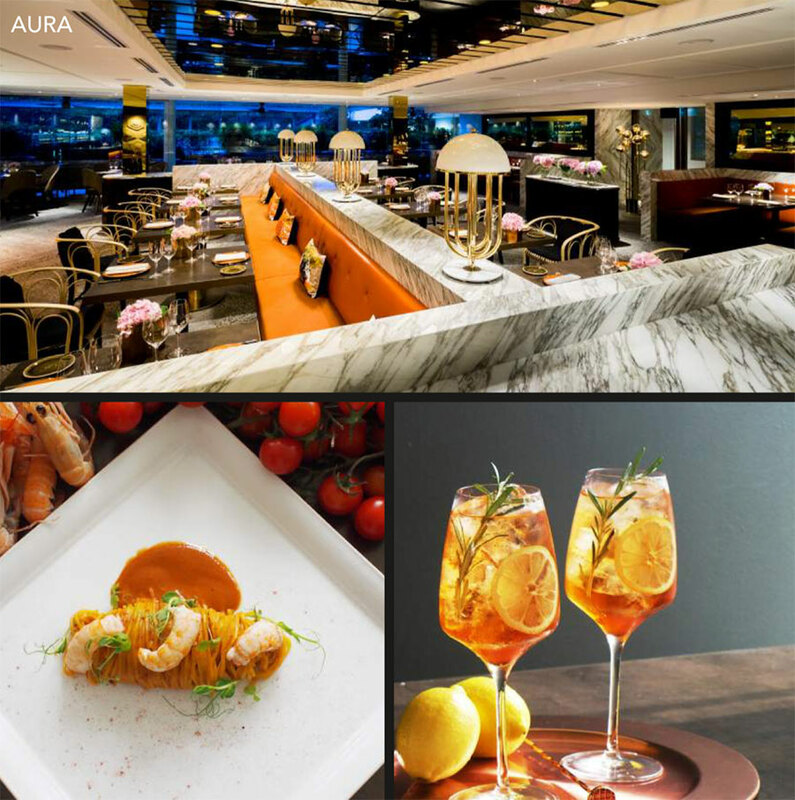 Aura is a modern multi-concept dining destination spanning across two floors of Singapore’s National Gallery: an intimate all-day Italian Restaurant and a stylish rooftop Sky Lounge with a panoramic five-star city view of the Marina Bay skyline. Polished with brass, bronze and marble hues, the lively Italian restaurant and Sky Lounge set the scene for a truly bespoke dining experience. Relish in their delights of world-class Italian cuisine created with only the finest quality ingredients. Menu highlights include the Tagliolini with Scampi, Tarragon and Smoked Paprika and the Angus Beef Tagliata with Bone Marrow, Porcini and Confit Potatoes. Insider Tip: Shop Hungry in Singapore (valid until 31st of July 2019) to receive exclusive privileges including 1-for-1 main dishes at Aura, and 40 more best restaurants in Singapore. Fancy a JW Marriott hotel all-day buffet, without the overnight stay? Introducing Beach Road Kitchen, the International kitchen space which provides just that! 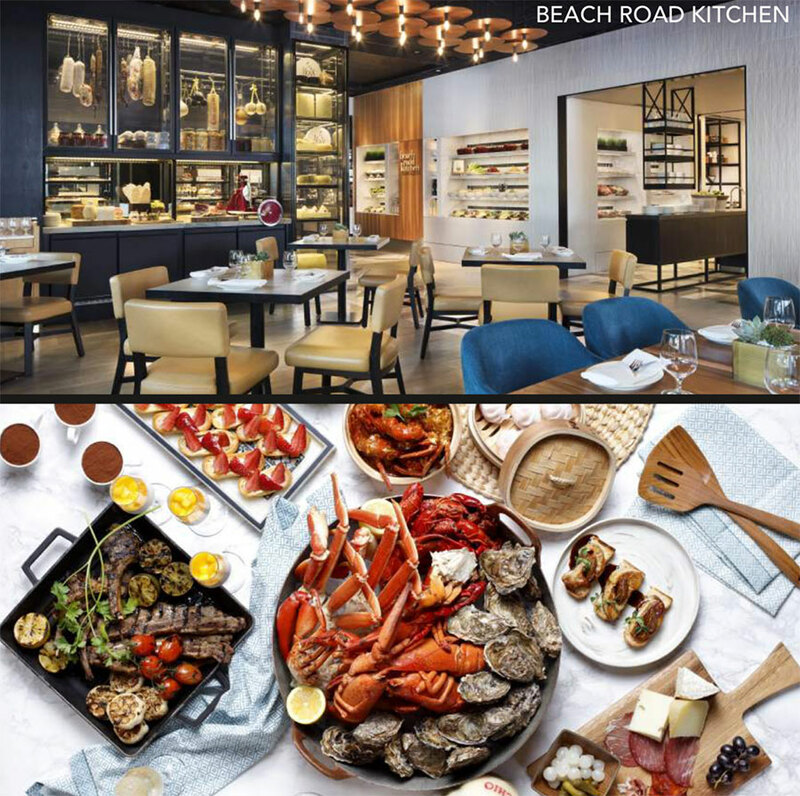 Featuring a vertical salad bar, international buffet with fresh seafood, live cooking stations, a built-in pizza oven, and charcoal grill, Beach Road Kitchen is the perfect option for when your taste buds want a little bit of everything. Our favourites you can’t miss – the truffle pizza by Executive Chef Stefano Di Salvo and Beach Road Kitchen’s wide spread of sweet treats. Insider Tip: Shop Hungry in Singapore (valid until 31st of July 2019) to receive exclusive privileges at the best restaurants in Singapore, including 20% off the bill at Beach Road kitchen. Featuring the city’s most stunning skyline views, CÉ LA VI creates unique experiences that stimulate the senses and elevate the spirit. Their innovative menu featuring modern Asian cuisine layers bold and complex flavours with the region’s finest ingredients. 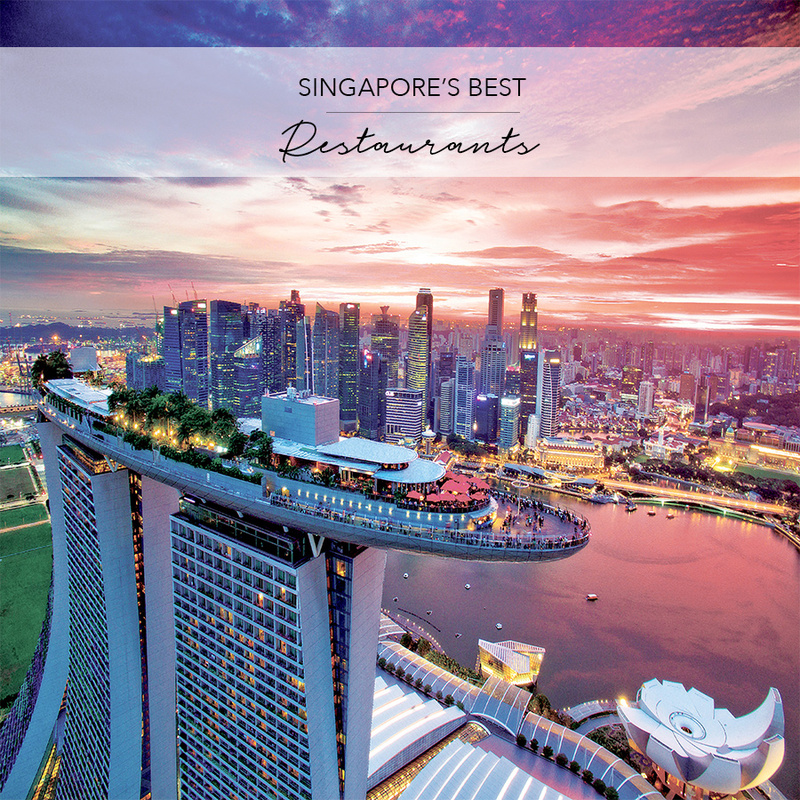 Singapore’s most iconic restaurant features alfresco dining overlooking the vibrant city and the glistening Strait. Don’t miss their Saturday and Sunday Lazy Lunch ($88++) to indulge in an endless serving of their innovative 5-course Modern Asian set menu complemented with a bottomless flow of wines and spritz ($40++) and live DJ performance, sure to set a relaxed lazy weekend vibe. Insider Tip: Shop Hungry in Singapore (valid until 31st of July 2019) to receive exclusive privileges at Singapore’s best restaurants including 1 complimentary dessert platter for 2 with any order at CÉ LA VI. Introducing a new era in the art of Chinese cuisine, Madame Fan provides a culinary experience that can only be described as both alluring and exhilarating. Embark on an experimental gourmet journey with Madame Fan’s extensive menu of traditional and contemporary Chinese flavours, like their Angus Beef Short Ribs with baby shallot and black beans, or the Gamberro Rosso Prawn seasoned with XO sauce and caramelized pineapple. Led by acclaimed restaurateur Alan Yau with live music every night, don’t miss this etiquette-free lifestyle dining concept that revolves around old-school glamour and grand hospitality. 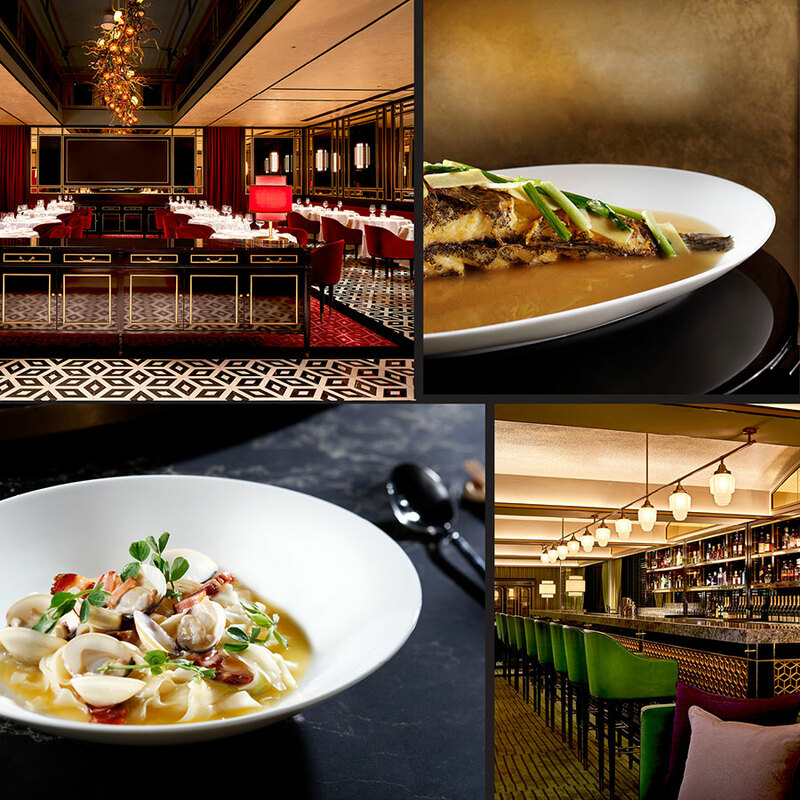 Insider Tip: Shop Hungry in Singapore (valid until 31st of July 2019) to receive exclusive privileges including 1 complimentary seasonal dish with any order at Madame Fan, and many more amazing restaurants in Singapore. 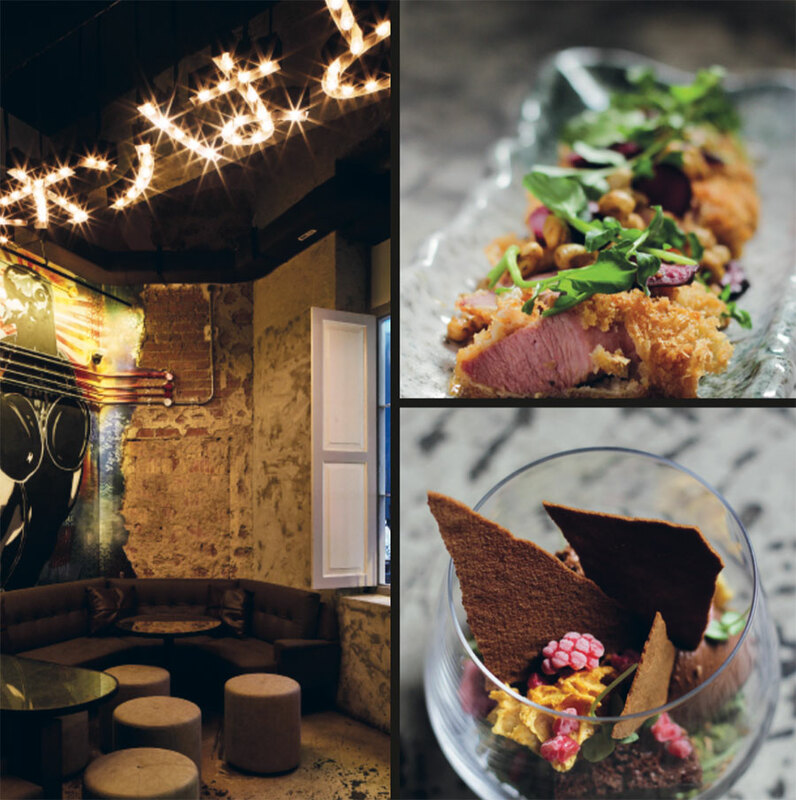 Culinary genius Ethan Leslie Leong has established a masterpiece in the foodie scene with unique restaurant and cocktail bar Maison Ikkoku, The Gallery. Lead your taste buds on a mouth-watering journey through a fusion of re-invented Japanese & European dishes such as Lobster Udon, Fois Gras Don, and their signature Salmon Ikura Don. The industrial style restaurant, set in the trendy Arab quarter on Kandahar Street, also serves as a modern art gallery allowing guests to enjoy a blend of art, culture and lifestyle. Head upstairs afterwards to check out its trendy bar for custom-made drinks by the bespoke cocktail pioneers of Singapore. 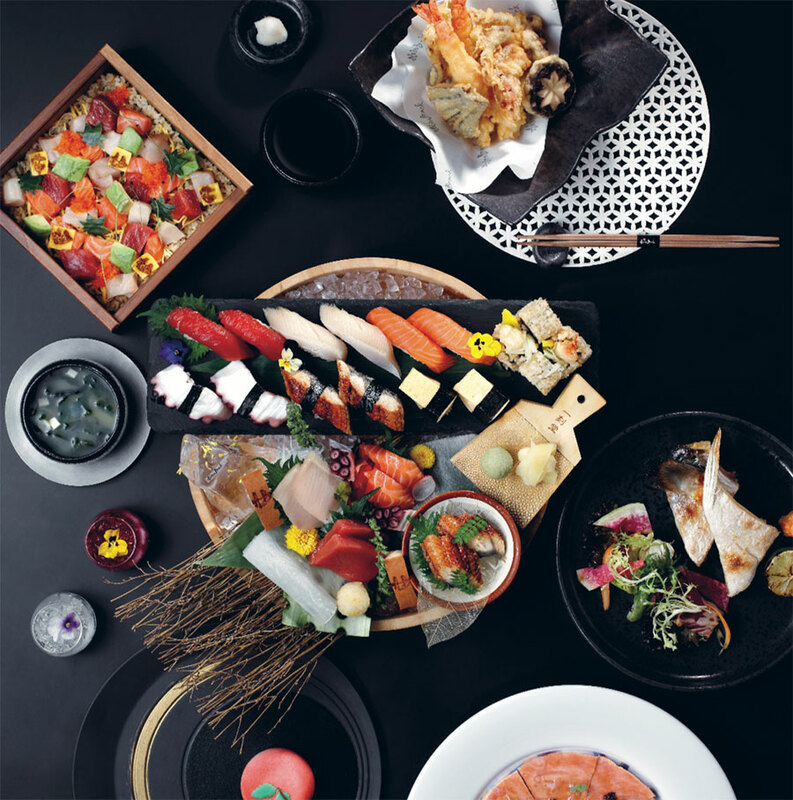 Insider Tip: Shop Hungry in Singapore (valid until 31st of July 2019) to receive exclusive privileges across the 40 best restaurants in Singapore, including 2 complimentary desserts when you purchase 2 main dishes at Maison Ikkoku. Panamericana is the ultimate casual Bar/ Grill, bringing to life mouth-watering fare from the rich diversity of cultures and cuisines found in the 14 countries along the Pan American Highway stretching through the North, Central and South Americas. Indulge in Panamericana’ s succulent grilled whole meats, greens, grains and fresh seafood, along with wines, signature cocktails, share serves and boozy concoctions, accompanied by breathtaking sea views and lush tropical greenery. Insider Tip: Shop Hungry in Singapore (valid until 31st of July 2019) to receive exclusive privileges including 17% off the bill at Panamericana, and 40 other best restaurants in Singapore. Nestled in a serene spot within Jalan Kubor just outside the Arab Quarter, Symmetry presents a unique dining experience inspired by modern Australian cuisine. Coffee, food, drinks, music and people sync so seamlessly, you’ll find yourself wanting to come back for more. 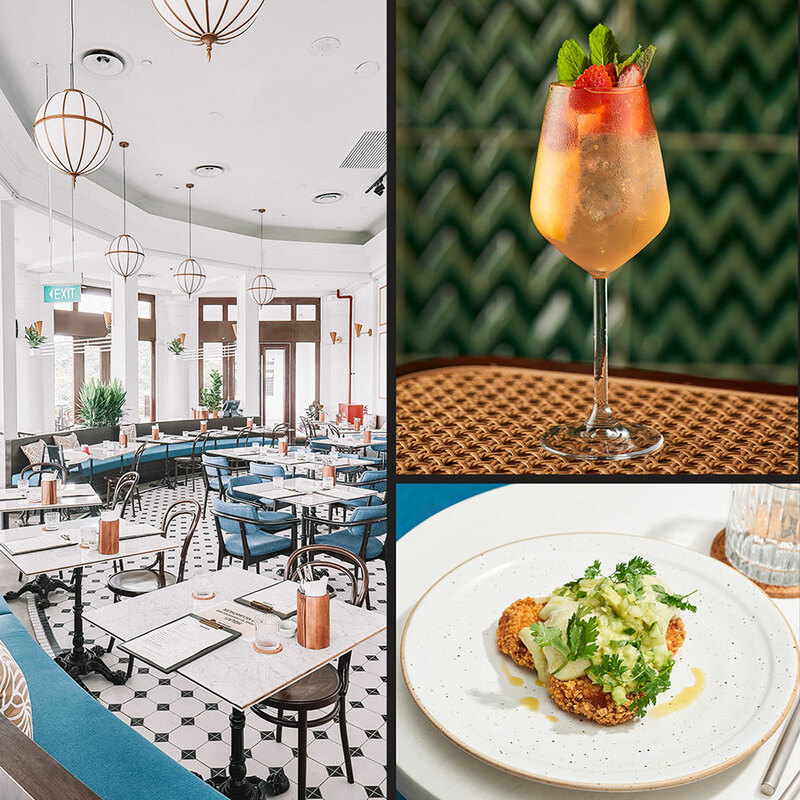 The menu offerings feature a list of curated cocktails as well as various menus for different times of day – weekday lunch, dinner and weekend brunch. Make sure to join them for their Saturday Pasta Night! Insider Tip: Shop Hungry in Singapore (valid until 31st of July 2019) to receive exclusive privileges at Singapore’s best restaurants including 1-for-1 main dishes at Symmetry. 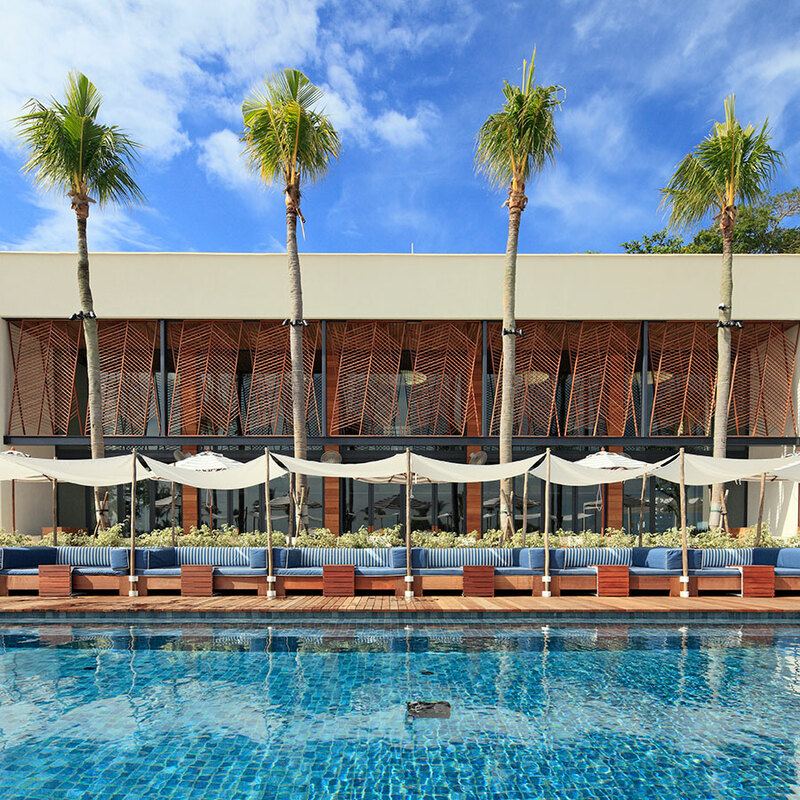 Tanjong Beach Club perfectly blurs the lines between a relaxed seaside diner and a classy beach club with its indoor-outdoor flow of mid-century nautical influences. Escape Singapore’s hustle and bustle for a relaxed day of island style living underneath tropical palms, only minutes from the city. Enjoy their vast lunch menu of carefree summertime dishes such as fresh Spaghetti Alle Vongole, Beer Battered Fish and Chips, and Grain Salad with Octopus. 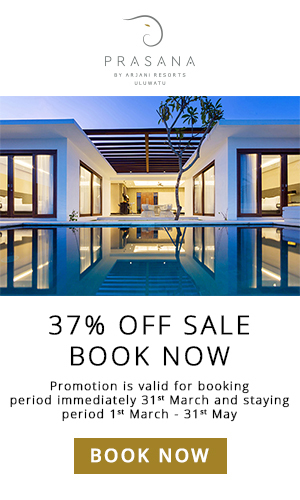 Insider Tip: Shop Hungry in Singapore (valid until 31st of July 2019) to receive exclusive privileges including 1 complimentary bottle of Prosecco with a minimum spend of $150 at Tanjong Beach Club, and 40 other best restaurants in Singapore. Focused on procuring only the freshest high-quality seafood in Singapore, The Naked Finn has become a leader in the art of preparing simple yet contemporary seafood dishes that reflect a ‘less is more’ approach. 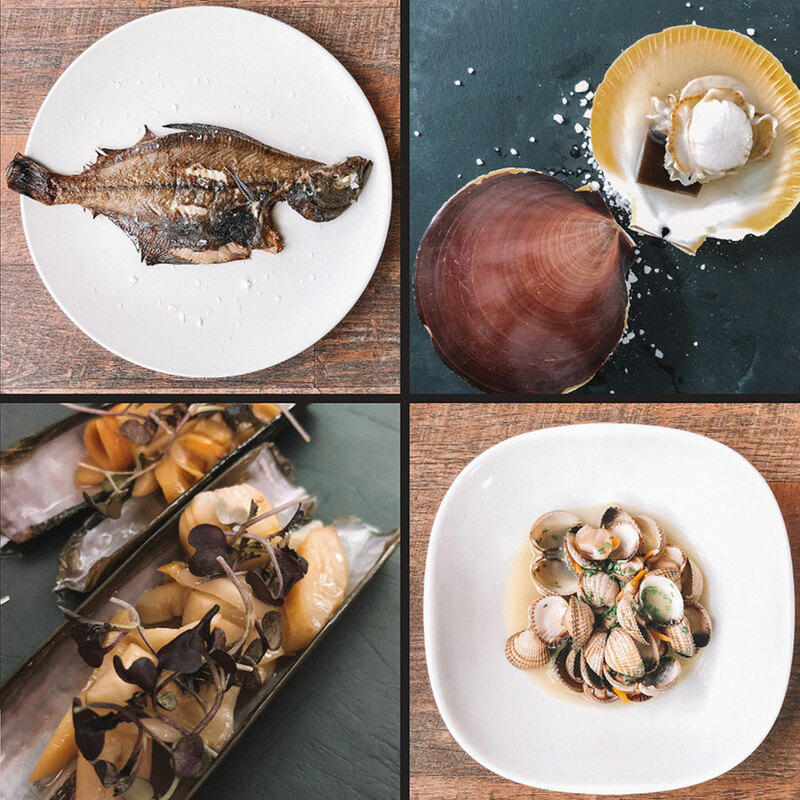 The minimalist-inspired seafood restaurant prides itself on sustainability and a unique menu of non-mainstream ingredients to create only the tastiest of dishes. More than 90% of its products are made in-house, from sauces to sorbets. The Naked Finn’s recommended set menus and individually crafted dishes will delight any seafood lover’s taste buds. 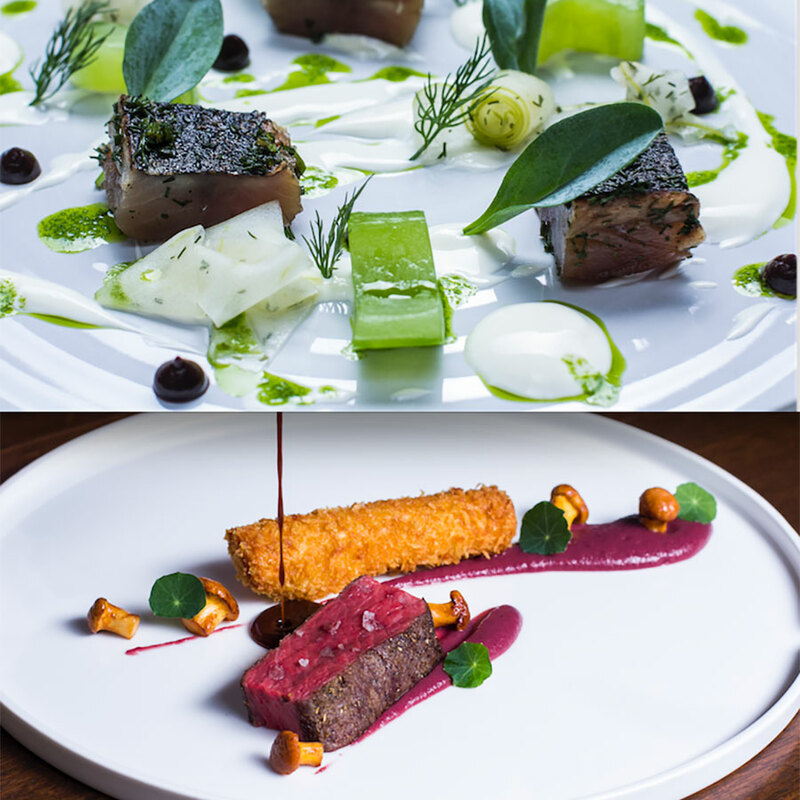 Insider Tip: Shop Hungry in Singapore (valid until 31st of July 2019) to receive exclusive privileges at Singapore’s 40 best restaurants including 2 complimentary glasses of sparkling house wine when you buy a set menu for 2 at The Naked Finn. 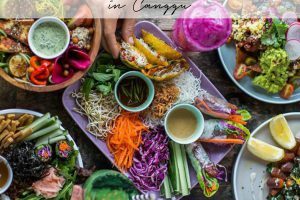 Embark on a culinary journey with HUNGRY IN SINGAPORE discovering the 40 best restaurants, cafes and bars that cannot be missed in the Lion City. And it’s not just your ordinary dining guide! Each venue offers a unique privilege when presenting your HUNGRY IN SINGAPORE premium print hard-cover or e-book when ordering. Get invited for 1-for-1 main dishes, complimentary cocktails, up to 25% off your bill and many more unique privileges across Singapore’s best restaurants, cafes, and bars.